Many of us spend our happiest hours on our mattress. However, did you know that your mattress can actually save your life? Here's how! Her sons have grown up now. But she will never forget the hours she spent with them as children huddled in the tub underneath a mattress -- waiting for the storm to blow over. She was from Pennsylvania, living in Texas as a military wife with a toddler and a newborn. The Texans in her neighborhood likely weren't hiding in their bathtubs every time a warning flashed across the screen. If the television beeped out a tornado warning, you would find her and her two young sons in the tub, covered with a mattress until the danger had passed. And the day a town 20 minutes away from them got wiped off the map, she was beyond grateful she had something to do to keep her and her boys safe. Fortunately, our young mother and her sons made it through the storm unscathed. Sadly, you can't say the same thing about the town of Jarrell, Texas. To this day, the Jarrell tornado is the largest ever recorded in the state of Texas. In Texas, and many places where storms like this happen, most people can't afford to dig basements or bomb shelters. Obviously, as long as people have been sleeping, they have placed something underneath of themselves for protection. Even in prehistoric times, people laid down straw, leaves, and other materials for padding. Overall, the only thing that changed over time was the frames that held the mattresses. Rich people could afford elaborate frames while those with less money made do with items they found locally. In 1857, someone invented a steel coil spring. At first, manufacturers only used those coils in chair cushions. Then, finally, in 1871 a German man Heinrich Westphal invented the first coil spring mattress. Sadly, Heinrich died a very poor man -- he never profited from his invention. Thankfully, mattress technology didn't stop with the invention of the coil spring mattress. You see, the stuffing inside those old mattresses still had many problems -- like going flat after a while. In the 1920s, though, Dunlop developed a special foam and by the 1930s, mattress manufacturers started using that. Then, as with many products, NASA popped on the scene and changed the game in the mattress industry with memory foam. Scientists originally designed memory foam in the early 1970s to help pilots and astronauts handle the G-forces in a spacecraft during takeoff. In the mattress world, it's been game on ever since. Before we get into the more obvious ways a mattress can save your life, let's talk about how an old mattress can be a very bad thing for your health. While we are certainly talking today about ways that a mattress can save your life, first, you should know a little bit about mattress safety. When you are shopping for a new mattress, read its certifications to make sure it passes basic safety parameters. 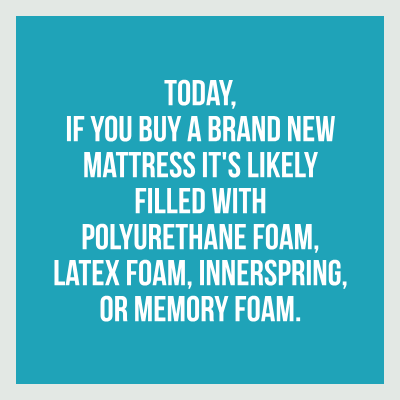 For more information on non-toxic mattresses, click here. Can a Mattress save Your Life in Other Ways? Now it's time to get to the meat and potatoes of our exercise today -- we will find out how a mattress can save your life in some pretty extreme circumstances. For example, did you know that an air mattress can save your life? Houston, Texas - Many of us remember when Hurricane Harvey hit Houston, Texas in 2017. Not as many of us heard about a 13-year-old boy named Virgil Smith, but we should have. You see, Virgil and his mom had already found safety in their neighbor's second-floor apartment. So, when the young boy and his mother heard screams for help from the other apartments, Virgil didn't have to enter back into the danger zone. However, that's precisely what he did. Virgil knows how to swim. However, Virgil also knows that many of his neighbors can't swim at all. Virgil grabbed an air mattress to use as a float, headed out the door, and swam through the eight-foot-deep flood waters to rescue his friends and neighbors. Using the air mattress as a floatation device, Virgil saved the lives of 17 people that day -- including an elderly woman in a wheelchair and her dog. Mind you, that brave young man did all that at two in the morning while it was completely dark outside. His actions that day were so heroic, Virgil received the Congressional Medal of Honor. Of course, not everyone lives in an area where hurricanes are an issue. However, using one as a floatation device during a flood is not the only reason for keeping an air mattress or two around the house. For example, if you live in even a one-story house and it catches on fire, an air mattress is a simple way to escape through any window in case of a fire. 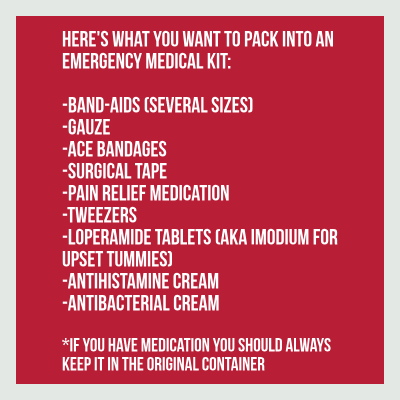 Or, an air mattress is ideal if you need to flee your home for an extended period of time quickly. Obviously, an air mattress won't do you as much good during a tornado as a regular mattress, one could still help a little, though. However, like the mother in our opening story, a regular mattress during a tornado can save your life and the lives of your children. And she's not the only one, either. Shandra Totty of Roanoke, Virginia did the same thing. A mattress can be a source of extreme danger in your home during a fire. Because of their size and weight, a mattress is, "one of the largest fuel sources in your home." According to experts, within 3 to 10 minutes of a mattress catching on fire, the flames will likely rise 4 to 5 feet over the top. And within 5 to 10 minutes, the mattress will burn so hot it will start catching other things in the room on fire. So, if the fire started in the bedroom or the mattress is otherwise consumed, it won't be any help at all. However, and here's where air mattresses come back into play again, the right mattress at the right place can save your life in a fire, as well. As you can see, in certain situations, a mattress can provide safety if you have to jump out of those second and third story windows. While most of the continental United States doesn't really have earthquakes as they experience them in other parts of the globe, but they can still get quite serious here. Especially in places like California. We aren't sure what's more terrifying -- that bed or an earthquake. And always remember, depending on what type of house you have, you can use a mattress in any plan that may require a jump. Finally, a mattress can save your life when you least expect it. Like when you are traveling down the road on your bike, for example. Granted, it was the mattress that knocked the guy off his bike. However, if the mattress wasn't there for the landing part, this would have ended much differently for that Brazilian bicyclist. No one likes to think about these nasty little critters. So, no matter how clean you are, you are always at risk of finding these little suckers hiding in the crevices of your mattress. First, you can get yourself one of these mattress encasement bags. To use this, you simply zip it up around the mattress and leave it there for a year. 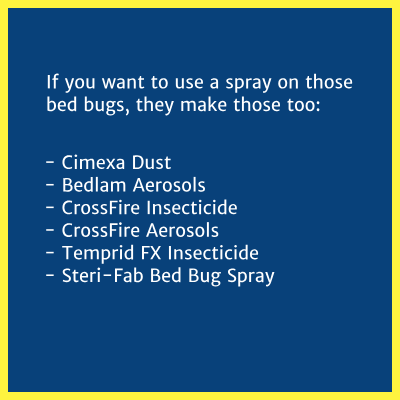 It works by cutting off the oxygen to the bed bugs and killing them off. Or, you can get yourself one of these mattress liners which will also work as prevention. Next, no matter how hard we try, most people end up with some sort of water stain on their mattress. As you can see, there are a number of different ways you can go about cleaning up those nasty stains -- and none of them are very complicated. Finally, we will end our lessons with a tutorial on making that funky mattress smell brand new again. Now you know where your mattress came from and how to use it to keep yourself and your family safe in the event of an emergency. Now, it's time to rest easy knowing that your mattress has your back. Do you have any advice on how to keep your mattress in tip-top shape? Share them with us in the comments!